A few years ago, the meteoric rise of bitcoin has attracted huge investment in this asset. However, the cryptocurrency also rapidly went down, and the legal status of virtual currency is not defined in many countries. Is there a sense to consider investing in bitcoin as an alternative investment idea? To find a broker who will offer investment in bitcoin, have any certificates or licenses (i.e., can guarantee the withdrawal of the money in the following), is almost impossible. Cryptocurrencies have a very slippery status, and therefore the investment in them is very risky. However, this does not stop those who want to issue electronic money. For example, in 2011, bitcoin was worth $ 2, and in 2013 — more than $ 1,000. And even in 2014, the cryptocurrency has again depreciated by 5 times. Investing in bitcoin: to buy or to sell? In October 2015, the price of bitcoin was around $ 303, in early may, the cryptocurrency reached the level of 450 dollars, showing a yield of 50% for 6 months. This yield can boast, not all investment funds, and especially to the yield far to precious metals. Yet analysts tend to ensure that investment in bitcoin is very promising, since there is every reason for the growth to the level of 600 USD. The concept of “cryptocurrency” and “virtual currency” appeared in the economy just 10 years ago. Originally, the virtual currency meant the electronic money that were paid in gaming communities or social networks. This type of income as “gamers” can be called the first prototype of cryptocurrency: avid players earned artifacts in the game (which can be compared to “mining” — the issuance of cryptocurrencies), and then sold them for real money. Over time, the concept of electronic money has been expanded — there are electronic wallets, in which from a legal point of view there is a transfer of property rights — the “title units” (virtual currency). However, e-wallets is just a virtual intermediaries for the transfer of “title units”, which are converted into real money. The electronic money are not the issue, being the equivalent of cash. Cryptocurrency also emitted an electronic algorithm. Cryptocurrency is digital currency, where the principle of the issue is based on asymmetric cryptography. cryptocurrency is secure because it only appeals to specialized sites and its use is possible only within a special system. The success of bitcoin, which from 2 dollars reached $ 1,000 tried to repeat other cryptocurrencies — currencies- in 2014 there were already more than 80. However, if you already have one attractive asset, why invest the money in its full analogue? relatively new asset could be of interest to investors that raised the rate of the cryptocurrency by speculative demand. As in the case of the “dot-com” and with the mortgage bubble had to burst. The first call was a ban of China on bitcoin trade for legal entities (one of the ways to counter the withdrawal from the country capital). Then bitcoin dropped to 950 dollars (20%). Second call was a specialized bankruptcy of Japanese exchange MtGox, in February 2014. The official reason — the actions of hackers. Before hacking of exchange about 80% of the global turnover of bitcoin passed through it. 2 weeks later the canadian Internet banking Flexcoin went bankrupt, also allegedly due to hackers. Due to a succession of bankruptcies of Internet exchanges in the framework of economic security the countries began to set limitations. First on the level of government regulation of cryptocurrencies banned Vietnam, Bangladesh and Bolivia. Germany made a bitcoin as “personal money” in the United States bitcoin was equated to the asset (including from the point of view of taxation). 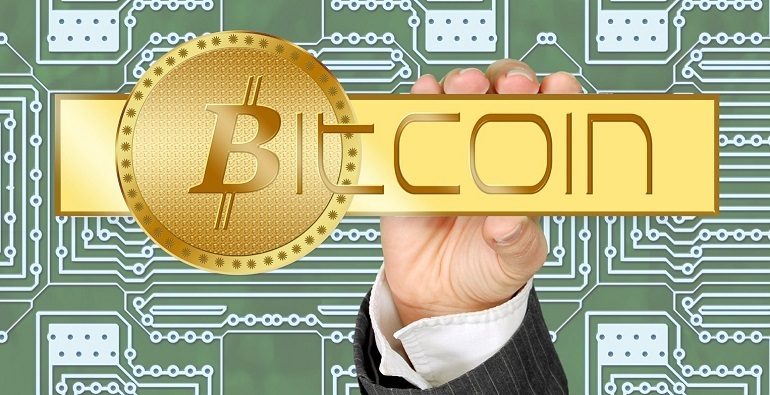 Japan took a neutral position, limiting investments in bitcoin for financial institutions. Norway and Russia have equated bitcoin to the stock tool but banned as a payment (financial) means. The minimum value of the cryptocurrency was reached in June 2015 — to 230 USD. Global investors are skeptical about the cryptocurrency: Warren Buffett, in principle, does not consider them an asset and believes that in 10-20 years, their era will end. speculative. Unlike commodities, currencies, securities, a cryptocurrency has no correlated assets. In this market there is no such factor: if dollar and oil then felt in price then the gold will increase. The price of the asset is driven exclusively by demand, and demand depends on advertising (for example, a surge in activity with bitcoin in the fall of 2015, associated with the new electronic pyramid in China by Sergey Mavrodi). To sum up. Investing in bitcoin can generate income in the medium term, but the risk level of such investments is very high. Cryptocurrency will never be a monetary unit that cuts the outlook for its development. As price minimum currency is already taking place, and the market is relatively stable, the prospects for growth in bitcoin is still there, but investing in bitcoin have rather a venture nature.